Robo Silicon, for the first time in India, introduced "Manufactured Sand" as a viable, cost-effective and an eco-friendly alternative to the precious and fast depleting natural resource. When the need of the hour requires project to be completed on time and with the most rigorous adherence to quality standards, engineers for large infrastructure projects such as DIAL trust Robo Silicon. Product and process innovation is at the heart of everything we do at Robo Silicon. We are proud that this drive to innovate has led us to launch another first in the form of RoboPlast for brick-working. Robo Silicon, for the first time in India, introduced “Manufactured Sand” as a viable, cost-effective and an eco-friendly alternative to the precious and fast depleting natural resource -river sand. Robo Silicon is the first company to brand its sand as “ROBOSANDTM”. It is manufactured just the way nature has done for over a million years. RoboSandTM is created by a rock-hit-rock crushing technique using state-of-the-art plant and machinery with world-class technology. Created from specific natural rock, it is crushed by three-stage configuration consisting of a Jaw Crusher followed by a Cone Crusher and finally a Vertical Shaft Impactor (VSI) to obtain sand that is consistent in its cubical particle shapes and gradation. RoboSandTM is the environmental-friendly solution that serves as a perfect substitute for the fast depleting and excessively mined river sand, which is so essential for percolating and storing rain water in deep underground pockets and protects the ground water tables. RoboSandTM 0-4.75mm is suitable for all concrete preparations and is used across all segments such as Independent Houses, Builders, RMC Plants, Concrete Batching Plants and Infrastructure Concrete Works. The cubical particle shape helps make concrete more cohesive. A perfect gradation ensures fewer voids and increases the compressive strength. A well balanced physical and chemical property ensures more durable buildings. RoboSandTM is produced under controlled conditions with raw material from a single source resulting in a very consistent quality with no seasonal fluctuations. The complete absence of deleterious materials eliminates wastage and works out economical for use in concrete. An optimum level of fines content helps overcome deficiencies of concrete such as segregation, bleeding, voids and honey combing. Easy availability of RoboSandTM in huge quantities around the year leads to execution of construction projects on time. RoboSandTM is an eco-friendly product and its usage helps conserve nature by preventing depletion of ground water levels. When the need of the hour requires project to be completed on time and with the most rigorous adherence to quality standards, engineers for large infrastructure projects such as DIAL trust Robo Silicon. Over the last 17 years, we have been ensuring that only the finest ingredients go in the making of concrete that withstand the severest usage conditions, be it for landing a 20,000 tonne jetliner or a smooth ride on a 3 wheeler. RoboAggregates are obtained by crushing of parent rock and exhibit better bonding at the interface of aggregates with cement paste. They are crushed by a three-stage configuration consisting of a Jaw Crusher followed by a Cone Crusher and finally a Vertical Shaft Impactor (VSI) to obtain aggregates that have a cubical particle shapes and are consistent in gradation. 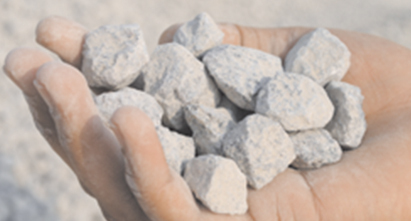 RoboAggregates are used as a base material under foundations, roads, rail roads, landfills. These aggregates are used as a stable foundation to help prevent differential settling across various applications such as under roads, culverts, bridges, drive ways, storm drains and transformer yards. RoboAggregates find extensive use for new infrastructure work and maintenance of existing infrastructure. 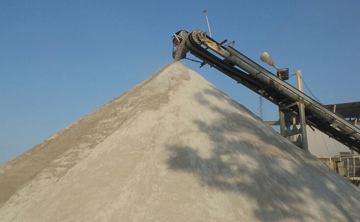 RoboSandTM and RoboAggregates are used to produce PCC, RCC, normal strength or high strength concrete. They are essential components for speciality concrete applications like self-compacting concrete and pre-stressed concrete. Product and process innovation is at the heart of everything we do at Robo Silicon. We are proud that this drive to innovate has led us to launch another first in the form of RoboPlast for brick-working and plaster applications. RoboPlast : Manufactured Sand Blend 0-2mm is manufactured by crushing rock in a three-stage configuration consisting of a Jaw Crusher, followed by a Cone Crusher and finally a Vertical Shaft Impactor (VSI). This eco-friendly product is created similar to nature’s way of rock-hit-rock and blended with specific fine aggregates to make RoboPlast ideal for Brick, Stone, Cement Block Work and Internal and External Plaster Applications. RoboPlast, a blend of specific fine aggregates provides complete masonry solutions at site and improves workability.A perfect gradation ensures fewer voids and increases the compressive strength. 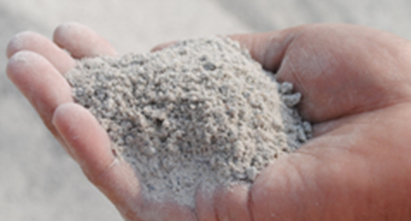 The ready-to-use product eliminates the sieving process at site. The absence of deleterious and waste material makes RoboPlast economical. The strength of the mortar joints is high. The adhesion property of the material when used for plaster work is better. The wastage and rebound losses during application of material are low. Its cohesive properties prevent penetration of moisture into the structure through brick joints and plastered surfaces.